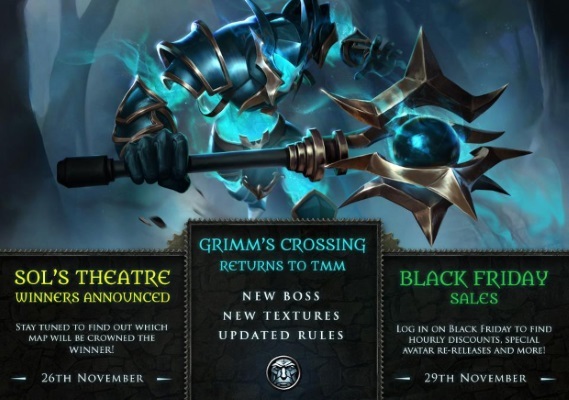 Fans of the popular MOBA, Heroes of Newerth, can let out a collective sigh of relief, as today the team announced that its snow covered, three vs. three map, Grimm’s Crossing, has returned. The fan-favorite map, which was pulled from Heroes of Newerth’s retail client to make improvements, has been completely retextured and features a new mini boss: the hulking, mace wielding, ethereal brute, General Atrox. To celebrate the re-release of Grimm’s Crossing, The HoN team is hosting a 64 team cash prize tournament on Nov. 22 and 23. Signups for the single elimination competition are now live, and will remain open until 10:00AM EST on the morning of the event. Aeria Games has released an official response to the HanGames closure of the Korean Echo of Soul servers.